Send out an Email blast to targeted set of audience as a part of Email Marketing. You can send customized emails to Leads to advertise your product; Eventually, your Leads can be happy customers one day. Trigger emails to your existing Contacts to enhance relationship with your customers. 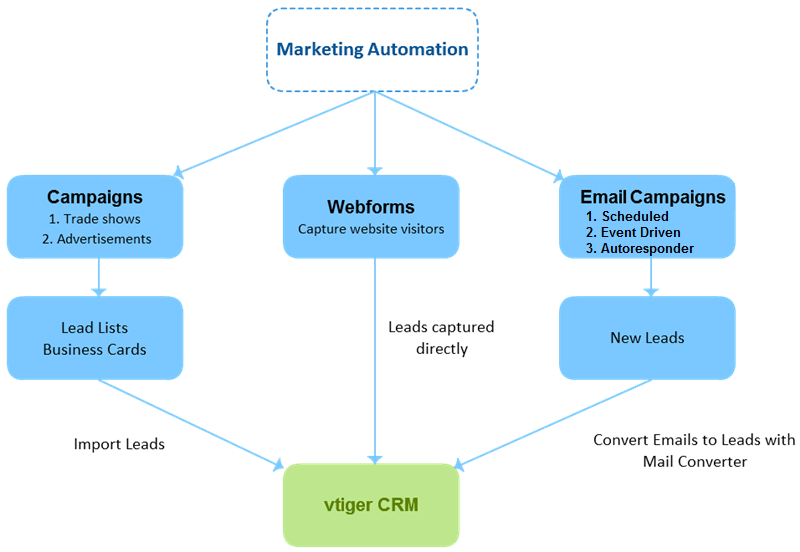 Also, convert your website visitors as Lead records in vtiger CRM through Web forms.